Thread: Now Here's a Server! This is the starting point for my new server case. Forget about all that 19" rack mount rubbish, this is going to be 6 string wall mount. If ever I need to upgrade I can go for a 12 string. 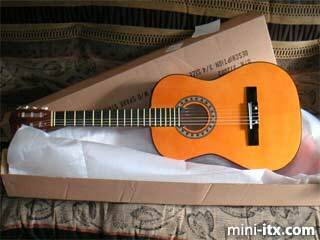 The guitar was a nice shiny new one from Argos.